Automation Parts Warehouse is focused on providing companies an avenue in keeping their existing building control systems up and running. Are you a controls company that has the on-board technical expertise with systems such as Siemens building controls, but can't get the parts to bid that job or take on that service contract? Has your company been told that you must upgrade? As you know the cost of upgrading can be very expensive and requires a lot of planning. Don't feel you have to upgrade due to the potential inability to find parts that have been made obsolete by the original equipment manufacturer. APW is here to provide affordable and reliable parts to help your systems continue functioning and perform as they were originally designed to do so. APW specializes in Siemens System 600 Apogee/Pre-Apogee systems. Some of our customers include school districts, hospitals, chemical plants, hotels, airports and office buildings. The bottom line is why upgrade when your existing system does the job just fine. 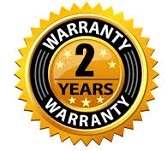 TWO YEAR WARRANTY ON ALL PARTS! Not only does APW provide you with parts to keep your existing systems running, but also technical assistance. Our large inventory includes Siemens, Landis & Gyr, Honeywell, Johnson Controls, Modicon, ABB Mod 300, Allen Bradley and more. You can shop online, by phone, by fax or send us an email. Siemens Landis & Gyr 540 680FA. Siemens Landis & Gyr 540 100..